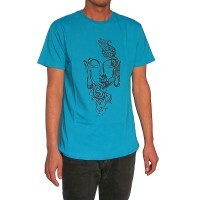 Creation Nepal's mens clothing are made from pure cotton by the Nepalese craft persons produced in their own working conditions and prices that represent the fair-trade norms. 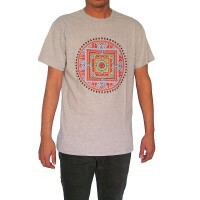 Hippie style various design patch-work trousers, winter cotton Jackets, Woolen jackets, sweaters, Daura Suruwal, Gheri cotton shirt, Embroidered T-shirt, Cotton shorts, Long sleeves cotton Kurtha, yoga trousers and many different design men clothing are offered online. 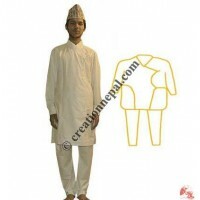 We at Creation Nepal are manufacturing and exporting mens clothes at wholesale price. 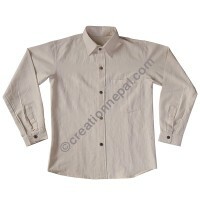 Creation Nepal is Kathmandu based company that deals in wide range of Nepalese handmade clothing like traditional design cotton shirts, kurthas, Trousers, jackets etc. 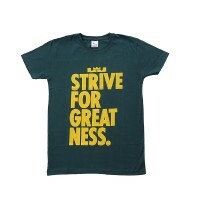 clothing for men. 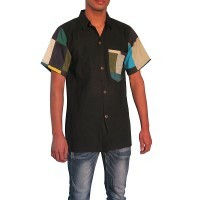 Hippie style various design patch-work trousers, T-shirt, Men shirts, Kurthas, Trousers, wrapper pants, Jackets- winter wear, Woolen jackets, sweaters, Daura Suruwal, Gheri cotton shirt, Embroidered T-shirt, Cotton Bhutani design shorts, Long sleeves cotton Kurtha, patch work cotton jacket, Shyama cotton sport type plain wrapper trouser, cotton round neck shirt, cotton trousers, Cotton stonewash jacket, yoga trousers and many different design men clothing are offered online at wholesale price. 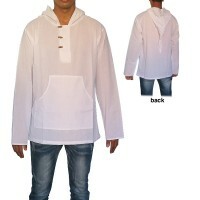 Our men’s clothing collection caters the clothing for both winter and summer. 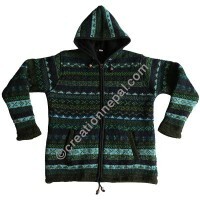 Creation Nepal has warm and heavy woolen sweaters or jackets for winter and thin cotton shirts or trousers for summer. 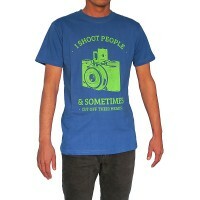 The specialties of our clothing items are hand made and natural processing. 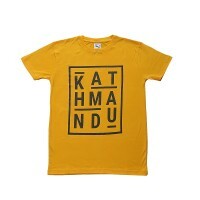 Men's shirts from Nepal, t-shirts for men, hoodies for men, mens sweaters, trousers for men are all available at Creation Nepal. 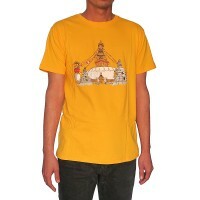 While ordering or buying men’s clothes, check the sizing that we supply because Nepalese mens casual clothing are made as generalized sizing like Small, Medium, Large, Extra large etc. 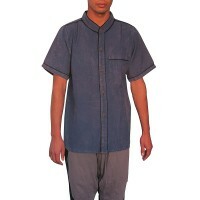 Our mens clothing are supplied in different material like thin cotton called khaddar locally, Shyama cotton are the thicket and strong quality ones and available in two different thickness quality like single shyama and double shyama. Choose the right products to suit your season to sale. 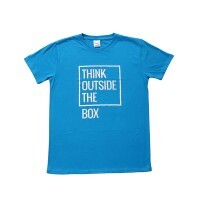 We offer varieties of clothing for men. 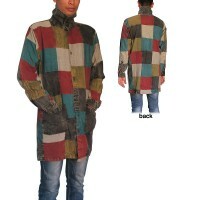 Whether it is woolen jackets, sweaters for extremely cold winter or fashionable cotton jackets for regular cold weather. 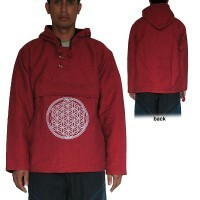 Creation Nepal can avail you the right product for right weather conditions. 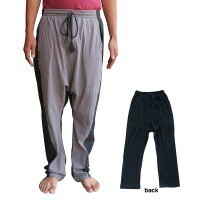 Besides the jackets, we also have 100% cotton Trousers and wrapper pants with different fabric thickness like thin Khaddar or thick single and double shyama cotton. 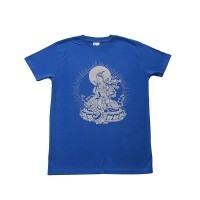 Beautiful and unique printed and embroidered T-shirt are available in various colors and sizes. 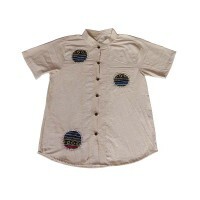 Various design and colors men shirts with hand embroidery, patchwork and stone wash are added to make them unique wear. 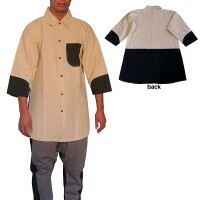 Similarly men Kurthas, the traditional Nepali shirts are also available in different solid color and stripes cotton fabric. 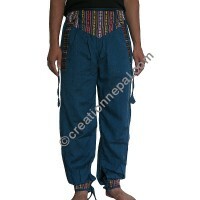 Daura Suruwal, the national dress of Nepal is also available at Creation Nepal.